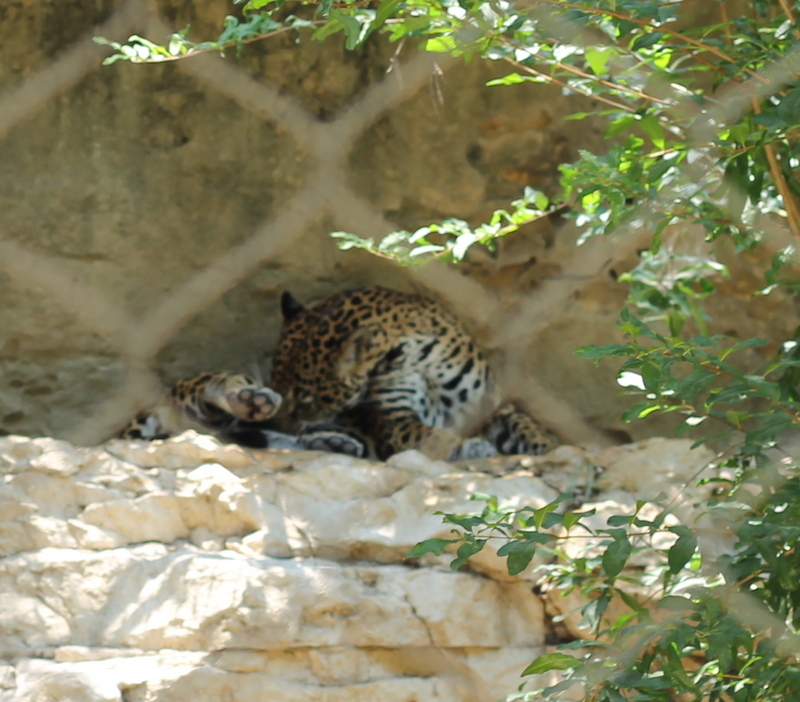 This tiny little guy brought to you courtesy of the San Antonio Zoo, where I went with my best friend for some fun time. Isn’t he adorable? 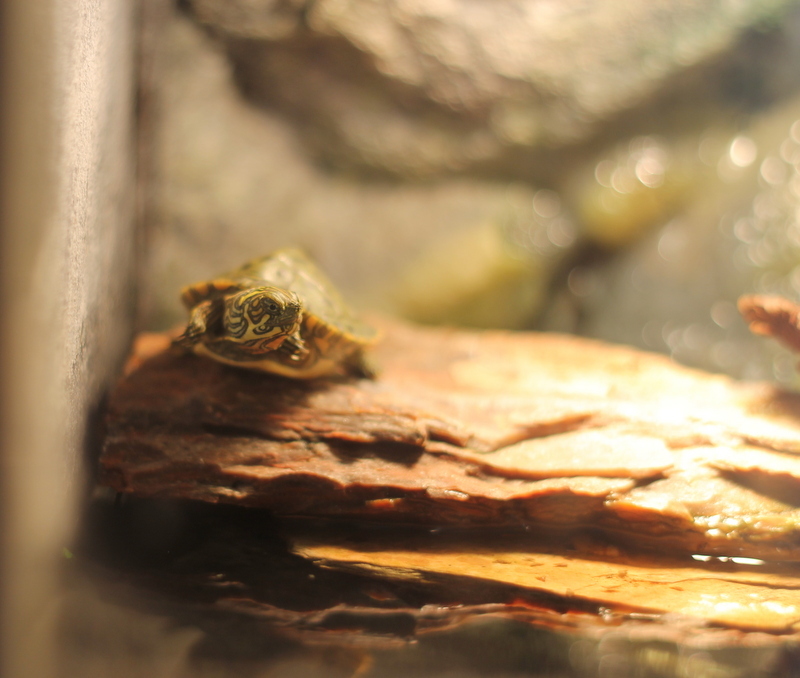 They had a two-headed turtle! 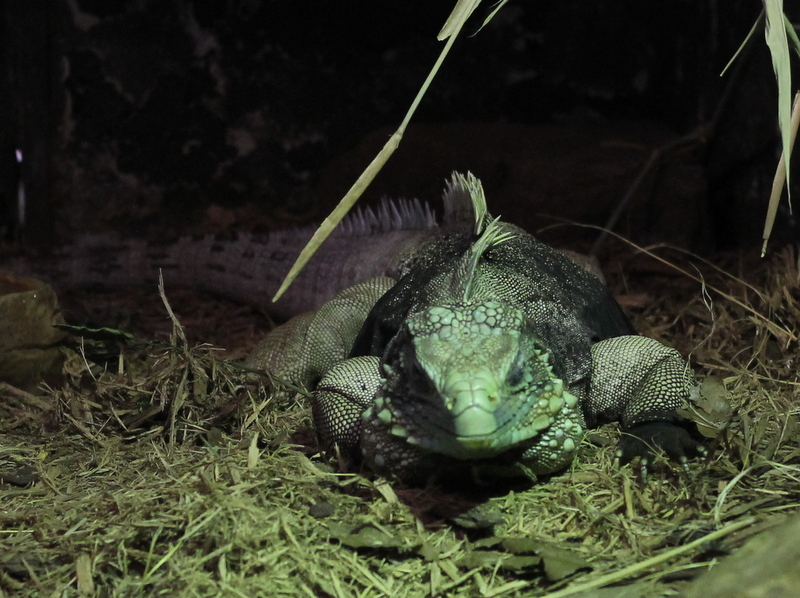 It was hard to get a clear picture – they were in the reptile house, which is pretty dark – but how cool! A leopard, taking a moment to clean itself. 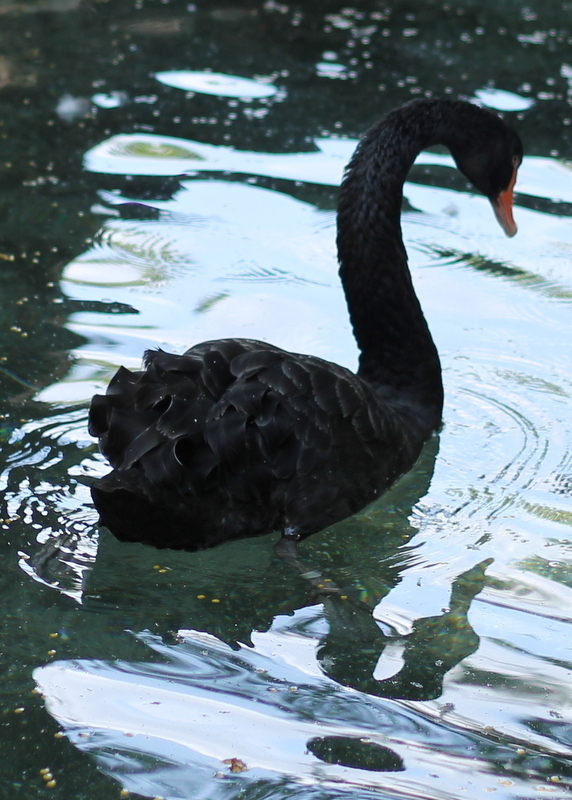 A beautiful black swan. 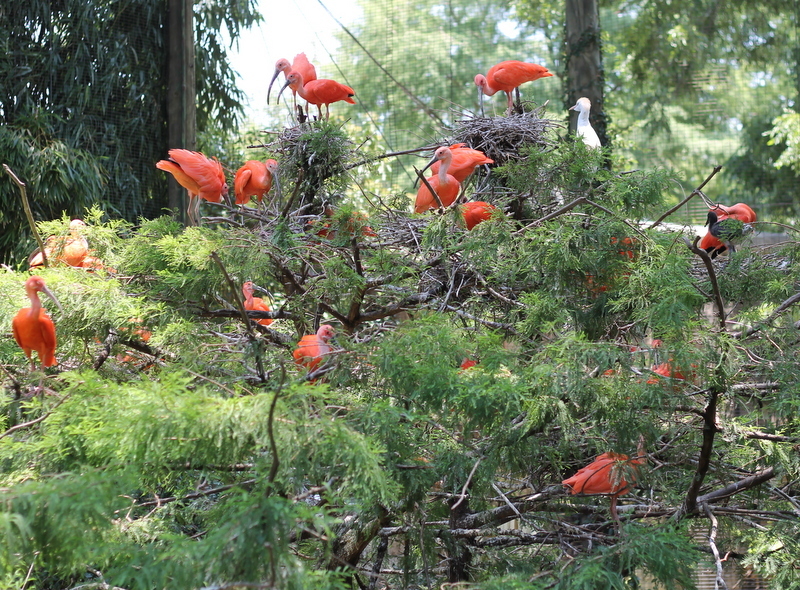 They have a large bird exhibit at the zoo, though Dani doesn’t really care for birds. Hippo! 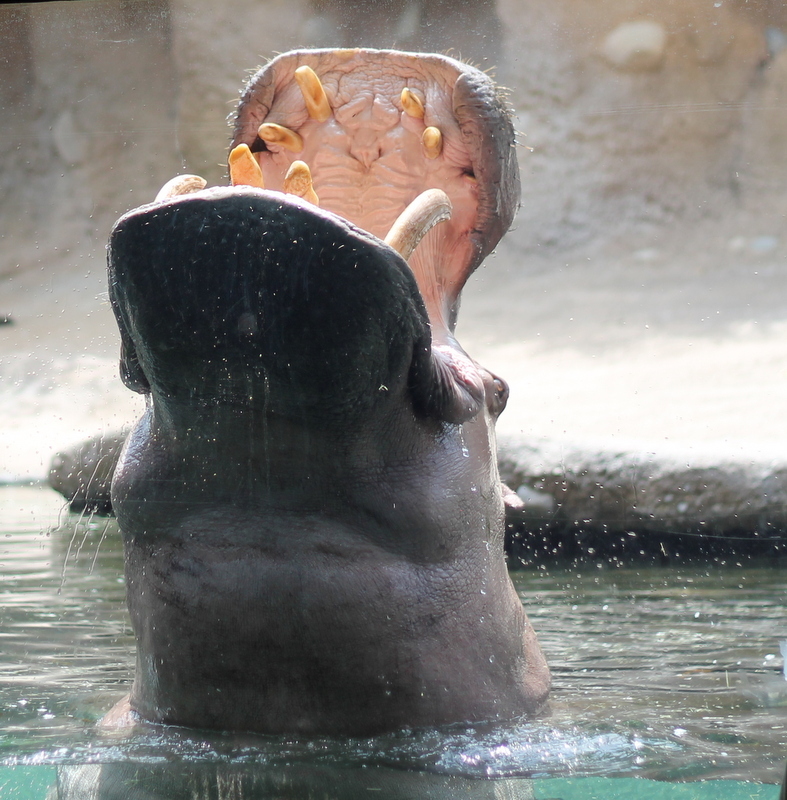 We made it for feeding time, but don’t worry – despite all those large teeth, hippos are vegetarians. 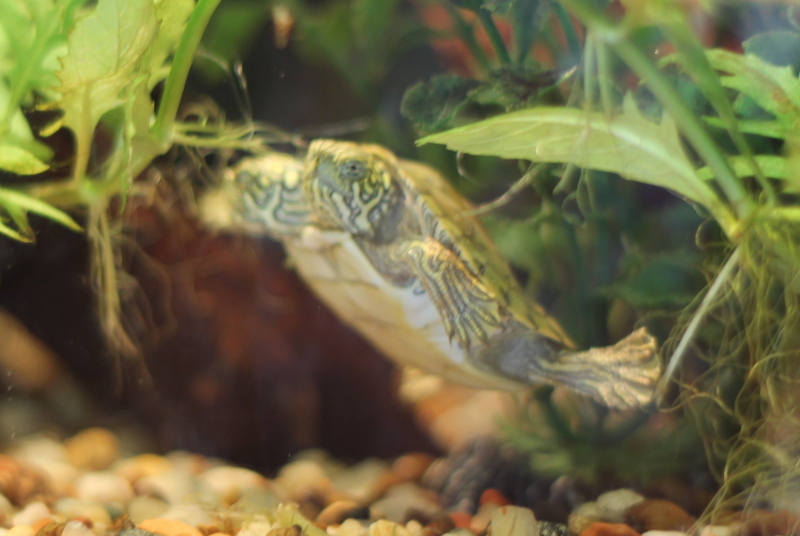 Swimming around, waiting for food. 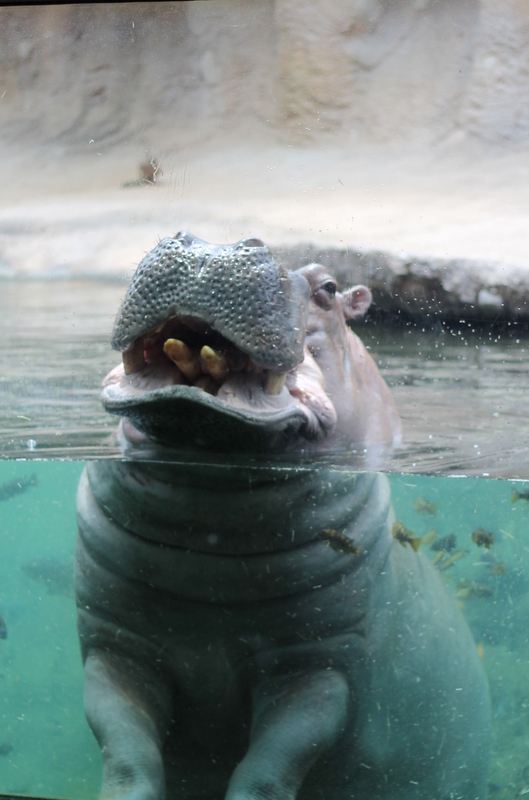 They have two hippos, one male and one female, and the female’s really food-motivated but the male isn’t. It’s rather funny to watch. Cheetah! 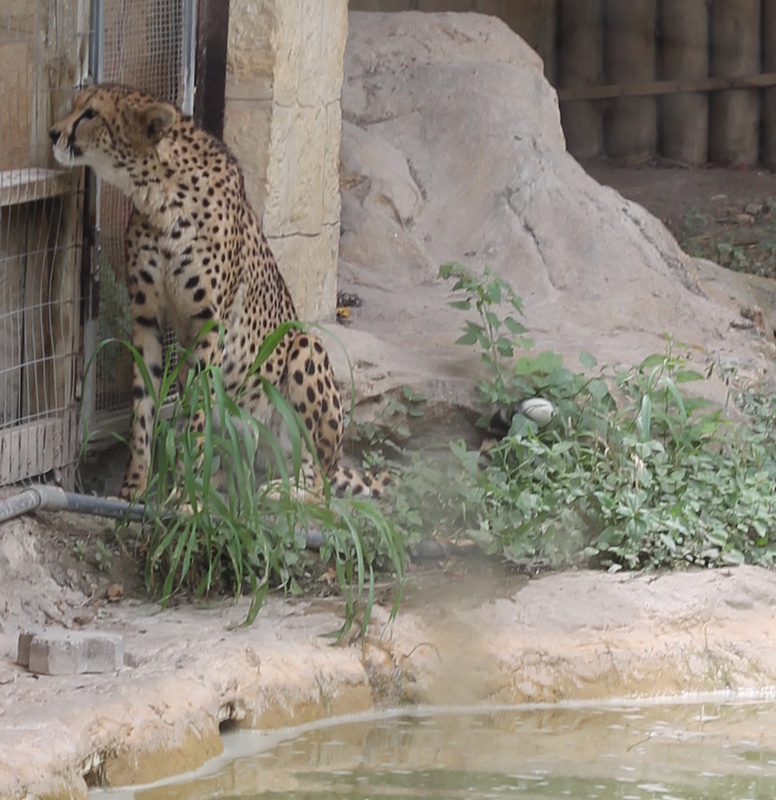 You can’t see, but there’s a couple of children the cheetah’s looking at. Hopefully, out of curiosity and not hunger! Tiger, tiger, burning bright! I love tigers. 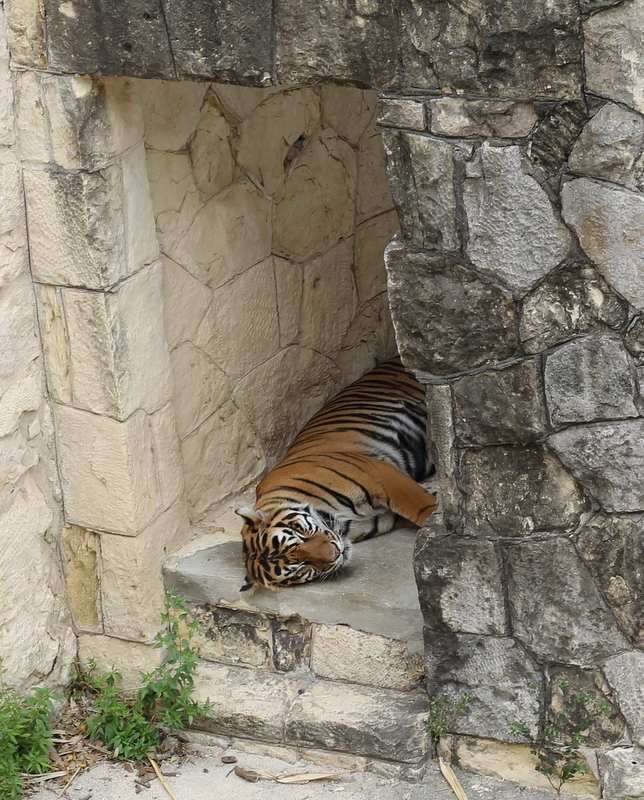 Also, what a luxurious life, napping in the middle of the day. 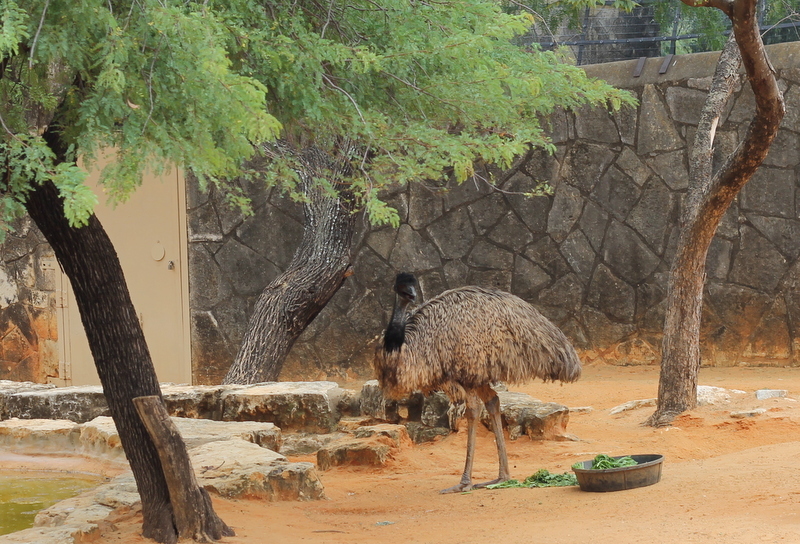 Ostrich – all those feathers! 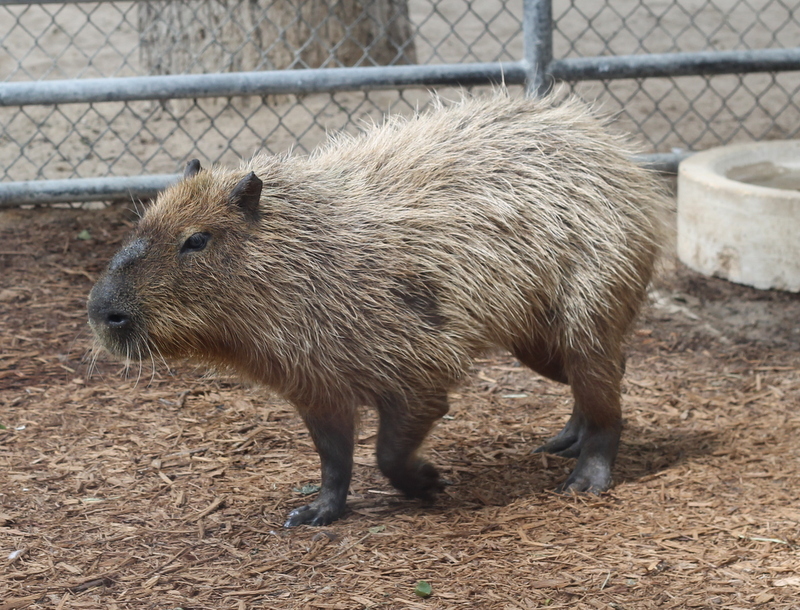 And what, I ask you, is more awesome than a capybara? Nothing. Absolutely nothing. Lizard (iguana, I think.) So creepy and cool! 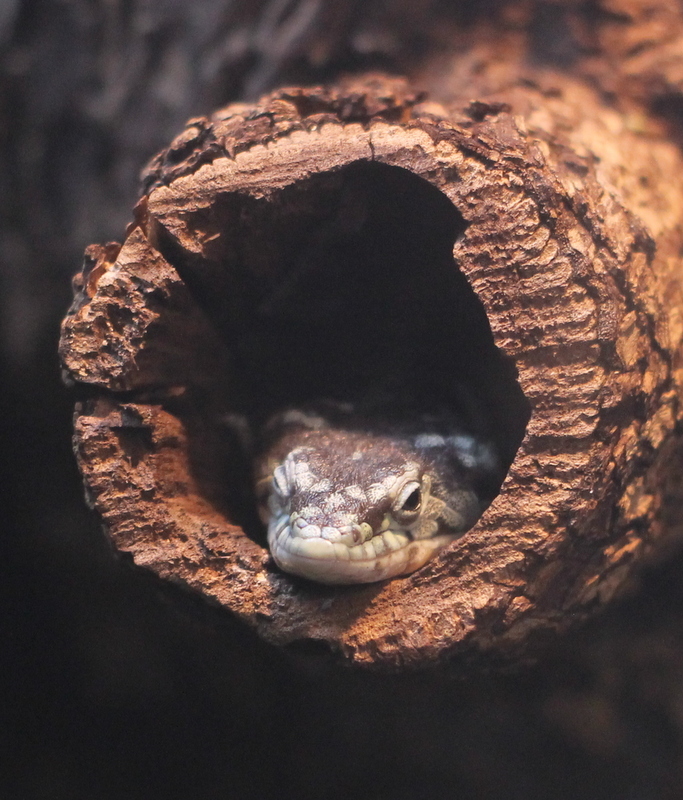 And last but not least, this little gal peeking out of her log. Super cute! 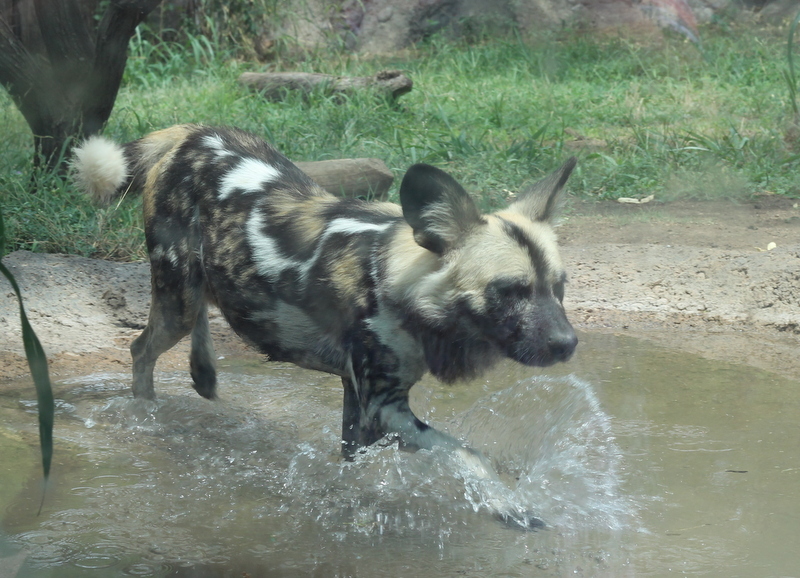 This is only a little bit of what’s happening at the San Antonio Zoo – lots of monkeys, birds, elephants, and other animals I didn’t get pictures to put up here. You should check it out if you’re ever in the area!